Life has been moving at such a quick pace since the kids started back to school. With all that's been going on, I forgot to post this card, which was published in the online magazine, Papers and Pixels, September 2012 issue. 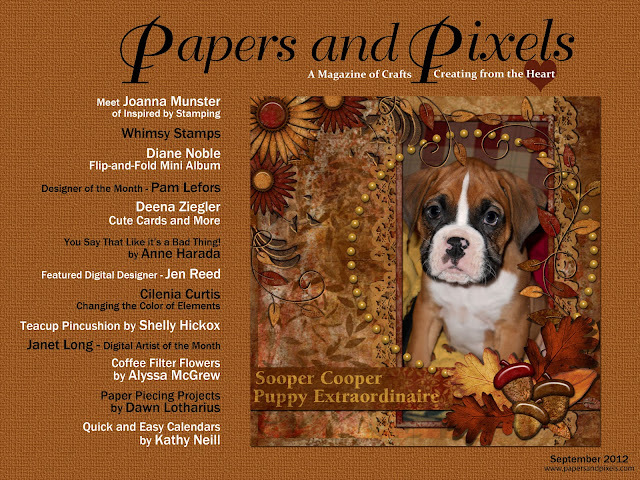 My card was included in an article about Joanna Munster, owner of Inspired By Stamping. 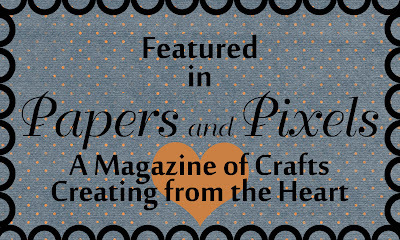 Joanna kindly asked each of the IBS design team members to create something special for the issue. I used the set Paris exclusively for this card. I made my own background print from fleur de lis and laurel wreath stamps included in the set. 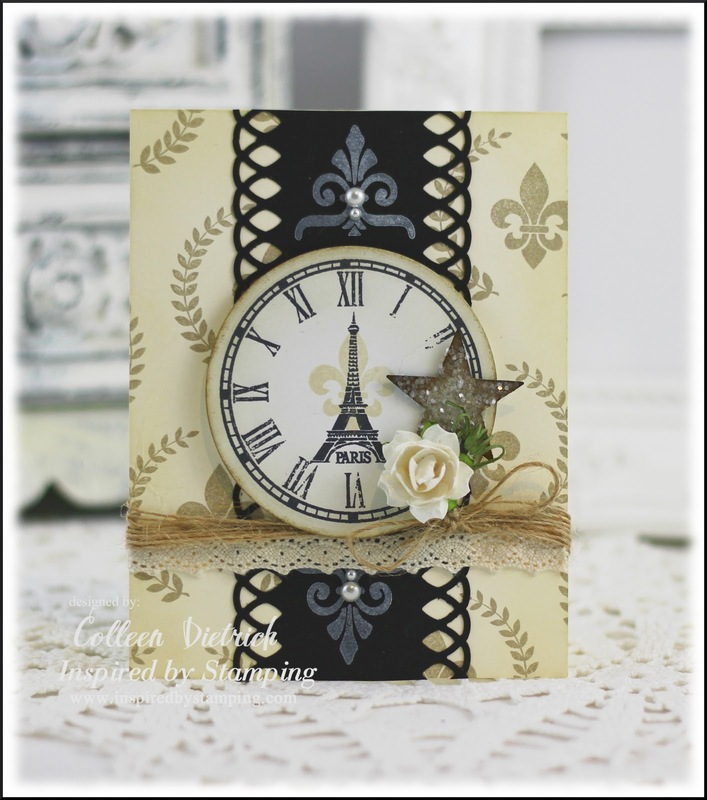 I stamped another fleur de lis very lightly behind the Eiffel Tower on the clock face. The punched star is made from cereal box chipboard, edges inked, then coated in clear glitter (I have a whole bag of these...just sat and made 'em up one day). 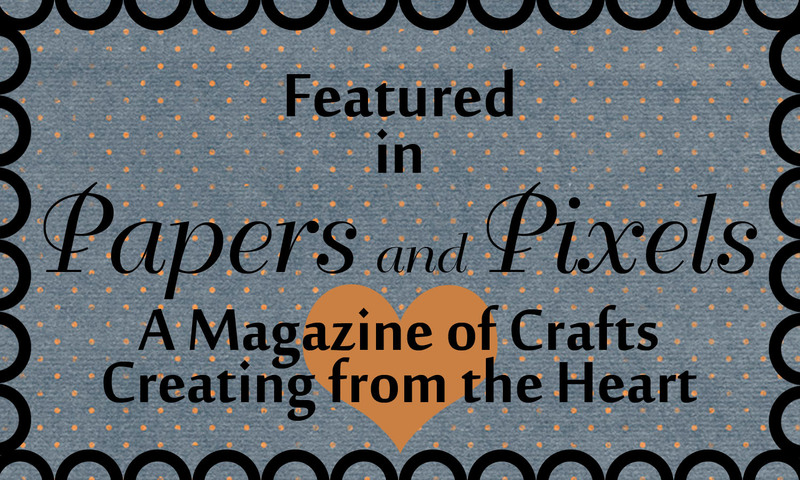 The paper rose and the crochet lace are from IBS, too. I stamped the decorative flourish from Paris with white craft ink on black cardstock, then topped it with two different-sized pearls. Oh Wow!! 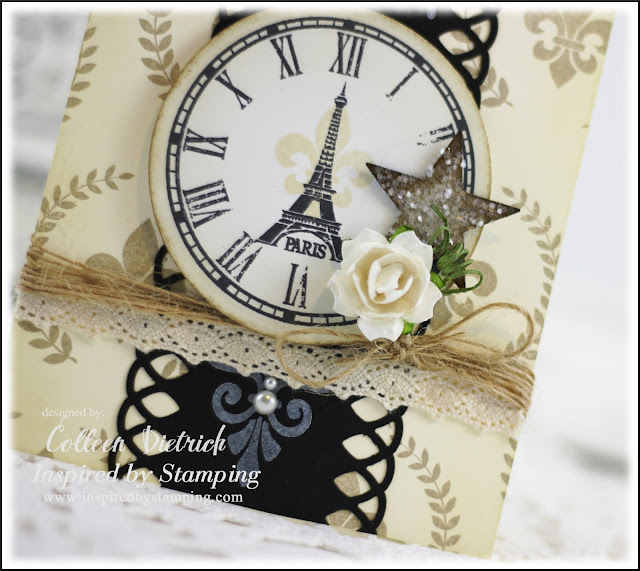 congrats on your publication...this is such a gorgeous card ...love the paris theme and your lovely stamping... its really looks so soft and elegant!!! Congrats!!!! That is awesome!! I love love love your card!! LOVING the Eiffel Tower and the star!!!! Congrats Colleen, so pretty! Love the Eiffel tower in the clock!! Congrats, girlie :) Love the card - cream and black is such a great combo! woohoo congratulations..your card is beautiful..
Congrats on the publication! How exciting! Your card is just gorgeous:) The background looks fabulous along with your beautiful layout! I adore your sparkly star and pretty flower too:) Beautiful card! This is just so PRETTY! LOVE your background and that glittery star! FAB card - CONGRATS on the pub! Congratulations, Colleen! Your card is gorgeous..love all the pretty details. How gorgeous Colleen!! 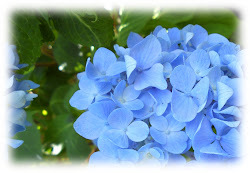 Congratulations on being published! You deserve it so much with all the gorgeous creations you come up with! Great job!!! Congrats to you my friend. Your card looks fabulous. I am very happy and excited for you! Congrats, Colleen! What a beautiful card and worthy of being published. Congrats on getting published! HOOOOOOORAY! Fab card!! Ohhh...I do love the Parisian theme! A beautifuly elegant card, Colleen! Huge congrats on your publication...well done! Stunning card! Congrats on the publication! 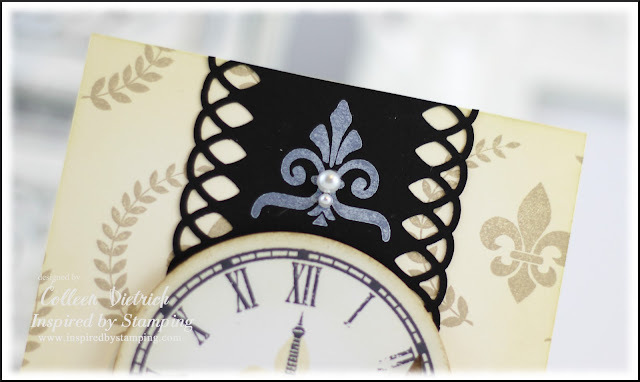 I love the touch of pearls on the fleur de lis jobbers! Well done. I had to laugh when I saw the puppy, I thought why is Ann Schach's Lexi on there as I thought you had a card in that issue! I guess I had Ann on my mind when I opened your E-mail. Goofy on my part. Love your card! Whoot! 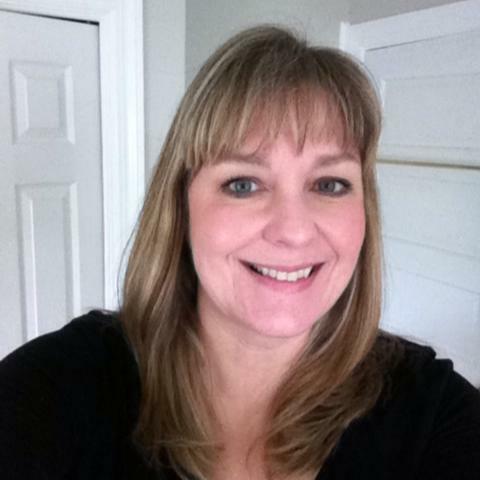 Congratulations, Colleen, on a well deserved spotlight! Beautiful card! This is just gorgeous. I looks like a pretty wrist watch on your card. I know I would wear it if it was real! You have some of the most amazing ideas for your cards. Beautiful. Such a pretty and sophisticated card! I can see why it was published! !